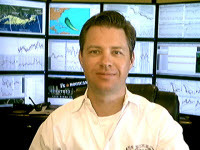 [B]Wayne McDonell[/B] will share his analysis [B]for all Babypips readers[/B], based on a multi-strategy approach that uses [B]both technical and fundamental analysis[/B]. You will learn event, scalp, spot, swing and carry trading strategies. Trading fundamentals, such as results of [B]recent news events, global macro economics and central banking policies[/B] will also be discussed in great detail. Wayne McDonell is the Chief FX Strategist for TradersWay. He has been trading forex publically since 2004. His analysis has since appeared in the Wall Street Journal, Bloomberg Television, Fox Business, Futures Magazine, FOREX Journal Magazine and more. His book, Strategic and Tactical Forex Trading" was a best seller in its category for 5 years. Awards include “Best of Show” at the Forex Trading Expo, “Best of Show” at the Traders Expo, “Best Educational Webinar” FXstreet.com, “Best Webinar” FXstreet.com and “Best Blog” FXstreet.com. FOMC press conference later today. Will Yellen’s team be less hawkish with oil prices dragging CPI data so low? Only time will tell. In today’s forex trading strategy session, we go through all the charts and apply technical analysis: EUR/USD, GBP/USD, AUD/USD, USD/JPY, CAD/JPY, NZD/JPY, NZD/USD, AUD/JPY, GBP/JPY, EUR/JPY, OIL, GOLD, SP500 and FTSE. Today strategy for trading forex is primarily based on technical analysis, however we take the time to discuss the recent changes in fundamental analysis. It seems that all central banks around the world have now adjusted their policies to address falling commodity prices and inflation data. This can create to forex trends and trading strategies. Today we plan the week for forex traders. We review the COT data and event risks on the calendar: Lots of GBP, AUD, CAD and USD FX news to trade this week. I also go into a quick lecture on Quantitative Easing (QE) and how we can track the money flow in the economy using Microeconomics. This trading strategy video is focused on technical analysis as we review all the forex charts. Every USD and JPY pair is reviewed technically. Since the Reserve Bank of Australia cut interest rates in today’s Asian trading session, that is discussed in detail as well. There is a small review of yesterday’s lesson on microeconomics. i have no word to say thanks to you i am appreciating your thought it gives me special value on my trading. i will follow your analysis report daily. Today cover ADP live, trader psychology, oil inventories and technical analysis of the majors. Thank you for the good words! Starting from today, all readers of BabyPips forum will be able to watch recordings of our daily webinars. Today we cover most of the forex trading pairs using technical analysis: EUR/USD, GBP/USD, CAD/USD, AUD/USD, USD/JPY, GBP/JPY, EUR/JPY, AUD/JPY, and CAD/JPY. We plan our forex trading week by reviewing the Commitment of Traders Report and event risks on the Calendar. See why your foreign currency trading strategies should focus on AUD and GBP this week. Today or strategies for trading forex revolve around technical analysis. We review GBP/USD, GBP/JPY, EUR/USD, AUD/USD, USD/CAD. We also take a look at commodities such as Gold, Oil and the SP500. Today we do a quick strategy session to review forex trades on the USD and JPY pairs. We follow up some of yesterday’s plans. A couple did nothing. A couple did well. It was all technical analysis at play. Today we review successful forex trade plans from earlier in the week. Pivot point strategy is also covered in detail. Today we review forex trade setups based on technical analysis for the JPY pairs. We also revisit a trade plan with a 600 pip target and find that its profitable by 400 pips. A similar plan is setting up on the EUR pairs. Today we review the US dollar pairs. AUD, EUR, GBP, NZD, CAD and more vs USD. We also review OIL and some global stock indecies. Today we review large positions in the currency markets by institutional traders, identify a two or three forex swing trades with potential for 300+ pips and plan out our week based on the fundamental news calendar. This will be a big forex trading week for AUD, CAD, EUR, GBP, USD and JPY. Today we review our forex swing trades from our strategy session yesterday. The commodity currencies (NZD, AUD, CAD) worked best, as the stochastic oscillators had extreme readings. Hey forex traders! Today’s trading strategy discussion turned into a conversation about risk management and trader psychology as we await more central banking news. Today’s session starts with a detail update on our GBP forex trading plan from a day ago. Originally we identified a “reversal area” in a potential short zone. Today, we got the setup we were looking for. This video covers the best possible entry. The trade has now moved over 100 pips. Then we decided to review the news. Upon hearing that the Bank of China cut its reserve requirement ratio, we dive into an unplanned overview of central banking policy, the required actions and its impact locally and globally. Specifically you will learn about the Money Supply, Fractional Reserve Banking and the Money Multiplier. Today we setup an amazing forex trading week during our strategy session. China cut interest rates and we have further Central Bank policy decisions the week by AUD, CAD, GBP, and EUR. All this forex related news will likely produce volatility this week, but trends next week.